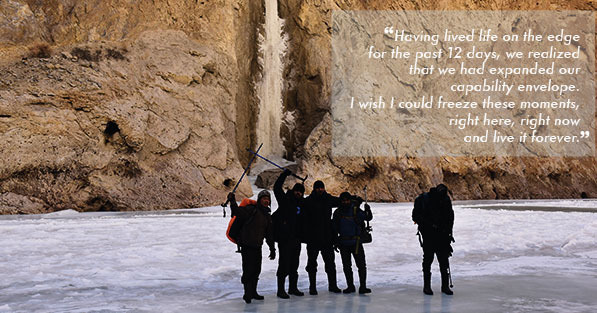 Labeled as the World’s Wildest Trek; Chadar Trek is one of those treks which tops the bucket list for many seasoned adventurers. 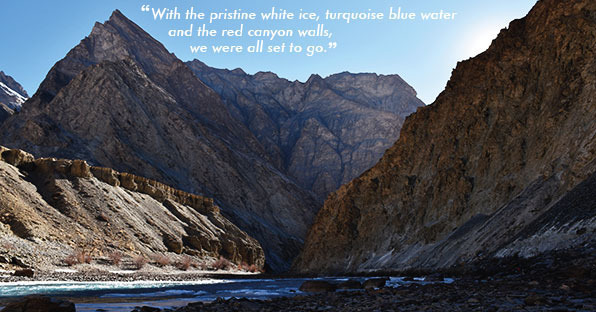 It connects the indescribably beautiful mountain-framed Leh with many villages in the Zanskar Valley. But there’s a catch. 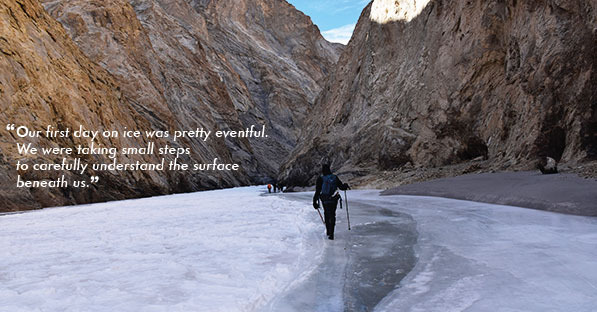 As the name suggests, Chadar Trek is a frozen river trek, which literally translates to “walking on thin shards of ice with your own backpack”. Sounds interesting, right? But there’s another catch. 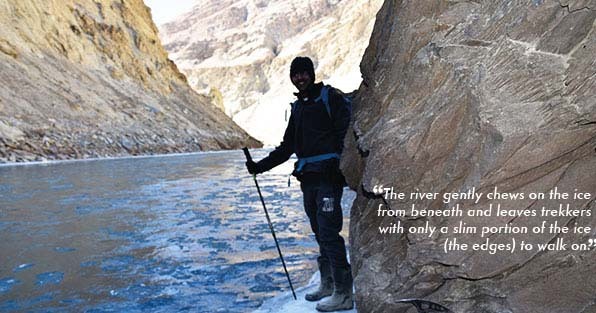 This trek is only possible during the months of January and February as that’s the only time that the Zanskar River is frozen. 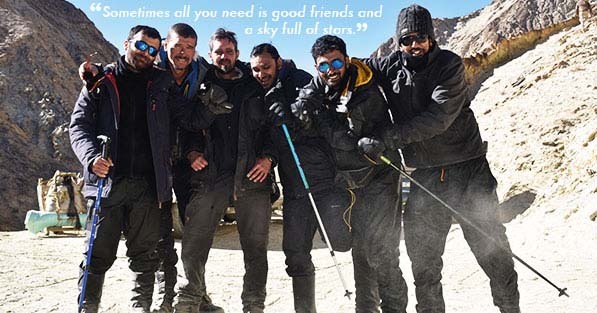 However, having said that, we got in touch with two young entrepreneurs, Nishant and Arun, who spoke to us at length and shared their extremely memorable adventure, one which they like to a “life-altering trek’. It was 8th January 2016 - the day New Delhi received its first fog of the season. The fog brings a lot of complications with itself, each time. This time, it meant being grounded at the India Gandhi International Airport for a long 6 hour stretch. 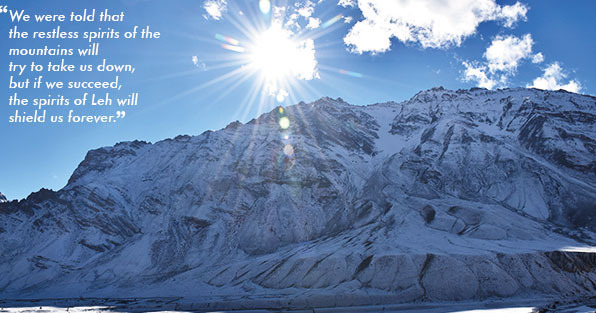 Thankfully, the mesmerizing views of the snow-capped mountains provided them with a nice adrenaline rush. Upon landing at the Kushok Bakula Rimpochee Airport, they were greeted by a brief spell of snowfall. 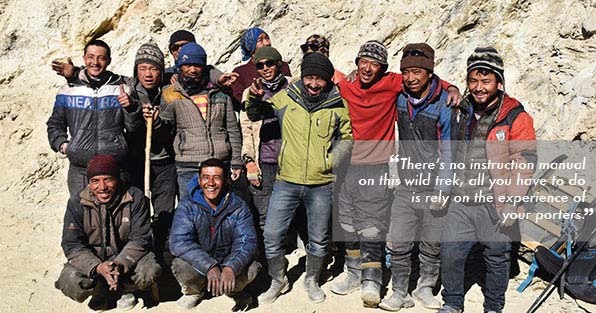 Soon thereafter, they were greeted by an Old Ladhaki friend who immediately whisked them to his hotel. When you seem to think that you’ve cracked the science behind walking on ice, adversity strikes. 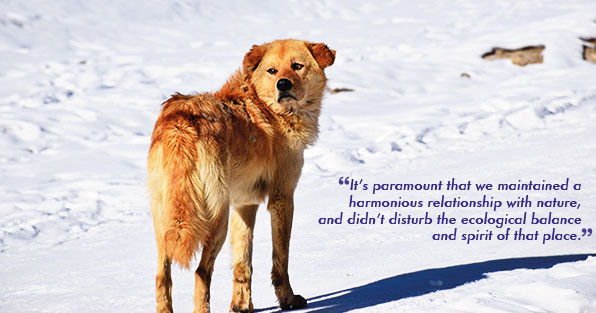 It was painstakingly difficult to adjust to such harsh weather conditions. 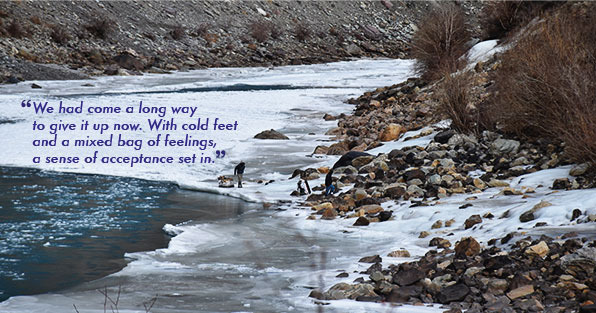 Hostile temperatures, the omnipresent risk of the ice cracking beneath their feet and the danger of the river not freezing ahead were just some of the challenges that they faced on a daily basis. 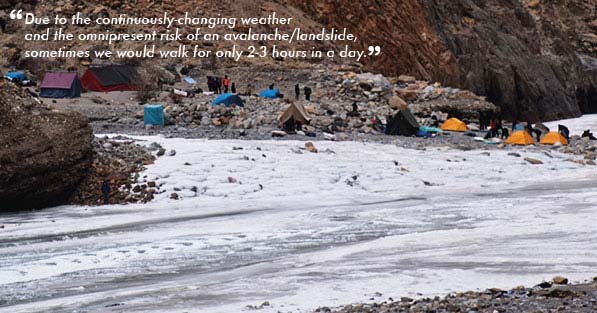 In such a scenario, either you set up a camp next to the gushing river or you scale the sheer vertical ravines (with a torrent of water gushing beneath you) to get to the nearest possible cave, and wait for the river to freeze. 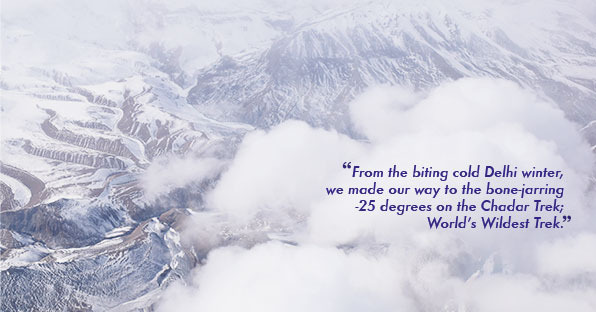 Getting up in the morning (with temperatures dipping to as low as -25 degrees) was a task in itself - way harder than convincing yourself that the path ahead with be clear, without any obstructions. Also, construction work is ongoing to build a motorable road from Leh to Zanskar, with only 40-50 kilometer stretch of road left to be constructed. 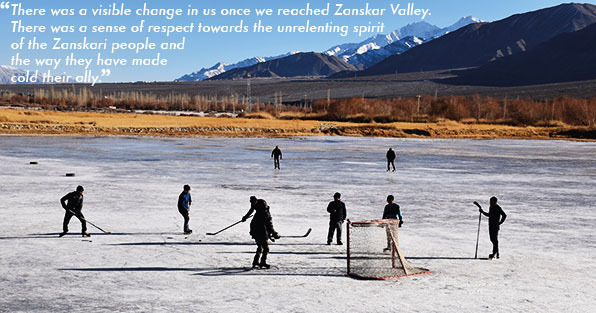 Oh by the way, the Zanskar Valley remains inaccessible for more than 6 months in a year (sometimes even more). 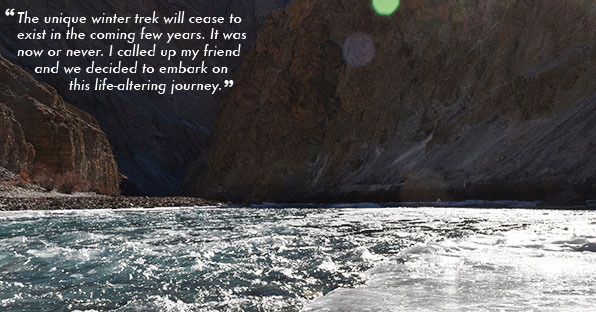 Pumped enough to take up this trek? Well, you’ll have to hurry. 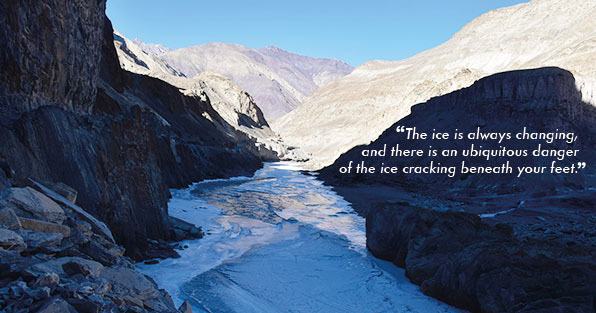 With global warming being the talk of the town, the rising temperatures will speed up the melting of the glaciers and ice caps, resulting in Zanskar River not fully freezing.